Look again. Did Monkey’s school have a flood? Are those shorts or pants? Did his pants shrink? Nope, none of those are the issue. So why, oh why would I send my boy off to his fancy smancy preschool in those ridiculous pants? Well here is my sad, sorry, Questionable Choices in Parenting answer: The kid just won’t stop growing. Apparently all you need is lots of macaroni and cheese and chocolate milk to have HUGE growth spurts because that is all this kid consumes. Monkey has always been super tall, but recently he has shot up and become quite the beef cake. Actually he is more long and lean, and now here we are, just a few weeks from spring and warm weather, and this kid has zero clothes that fit him. So you are thinking I should just head out and buy him more clothes, right? Wrong! I refuse, REFUSE to buy this kid a whole new wardrobe now! In a few short weeks we will ditch his too short pants and shirt sleeves that don’t come even close to touching his wrists for spring playground gear: t-shirts, shorts, bug spray, sunblock, mud and mulch. I won’t waste money on pants this kid will wear for less than two months. So he will just walk around looking like a fool because his mom is too cheap to buy him new pants. I know this probably sounds bad, but if he was say 13 and he had this growing problem, I would totally rush out to all of the cool and hip stores to shop for him. I will take my flashlight to walk through the darkness of Hollister, I will use ear plugs to protect my hearing from the blasting tunes while I peruse American Eagle, and I will completely embarrass him while wearing a gas mask to prevent convulsions from inhaling too many cologne fumes that waft from Abercrombie and Fitch. Those teenager years are rough enough and no one needs their cheap mother messing up their style. However, if he does look like a fool with too short pants, no girls will want to date him. Hmmmmmm…. I may be on to something here. I am getting off track. 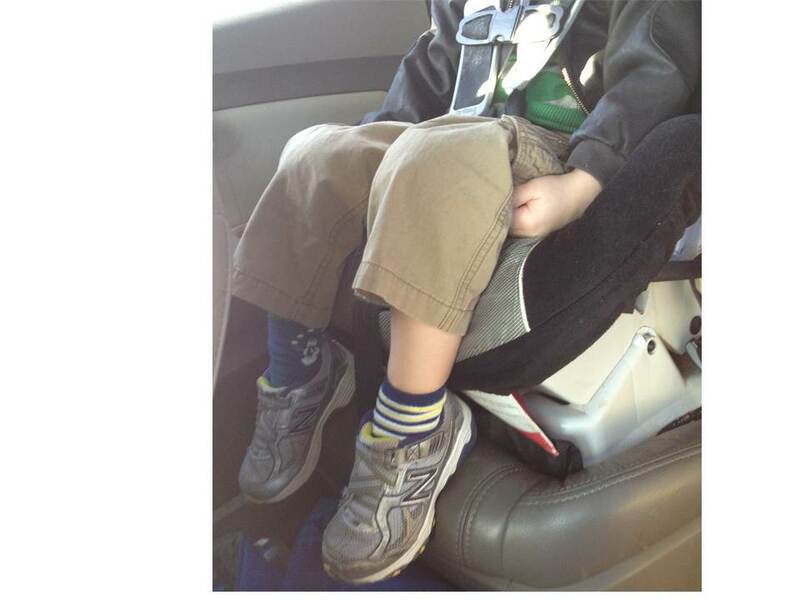 My point here is he is only three and I am sure no one (except the other parents, and the teachers, and the school administrators—oh man I am really weakening my argument here, huh) will see him in these ridiculous pants. You are judging me, right? You think I should go out and buy him some new clothes, right? Fine! You win. I will break down and get the kid a few things to survive these last few weeks of winter weather. If nothing else, the trip to the mall will provide hours of blog fodder! Be sure to enter my giveaway with Pretty in Pink Designs for an adorable tutu and Easter headband. Click the link and enter today! I totally forgot about the next size being so big.I feel like the jump from 2T to 3T was insane. 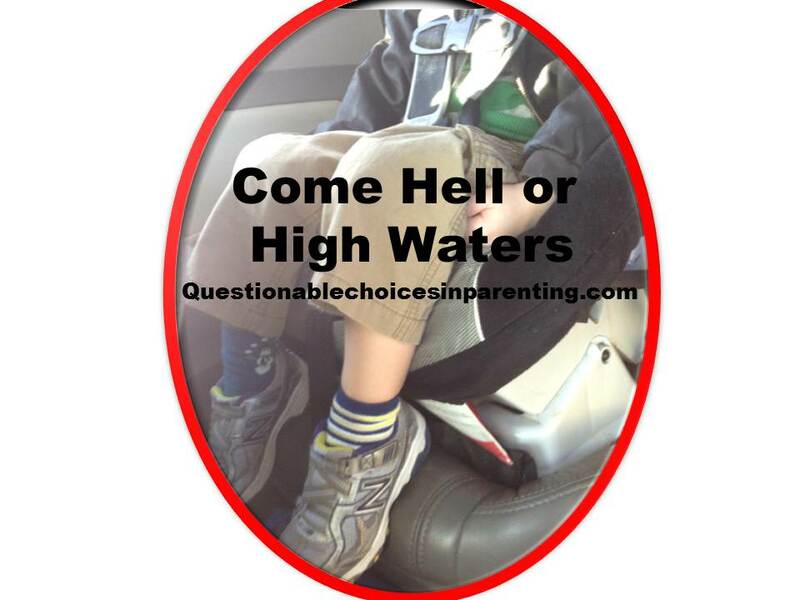 So the kids go from clothes that are too small and tight to swimming in the next size. We need half sizes at half price for the in between times. Wait! This could be a million dollar idea! Do you want to be my partner? Good news, you’ve won the “BEST MOMENT AWARD” for this post! Congratulations! Visit the link to know the details of acceptance and badge downloads. I just ran into this same problem with my 7 year old daughter! Overnight she grew out of her pants! Seriously, how does this happen over night?? Thankfully dresses with thick cotton tights still work so she has been wearing dresses everyday until we near capri pant/shorts days! I guess you really can’t slip a nice skirt and leggings on your son huh?? It really does happen overnight. You put them to bed and boom—they have grown a foot! No, I think his father would object to leggings and a skirt;) Maybe I can get him higher socks! You should absolutely not buy new clothes for him. They don’t care and you’re totally right about needing new season stuff soon enough. I’d like to add that your paragraph about night vision goggles, a gas mask and ear plugs was totally my post for next week as #11 in my “I’m Getting Old” series and you stole it!! OK, you didn’t steal it but that’s hystercial that I was going to use those three stores and those three devices in my post. Great minds, right? HaHa! Totally no judgement. I had the hardest time justifying buying maternity clothes for myself because I was seriously only going to need them for like 3 months. And they’re so expensive! If you really feel the need I say go to a thrift store. Bonus if it’s on a discount day. That way for like $10 you can get him 27 new clothing items and it won’t feel like such a waste. This made me laugh! My little one right now is stuck between 2Ts and 3Ts. The 2Ts are way to short, but he steps all over the 3Ts!